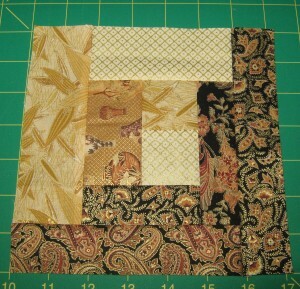 As promised, we’re going to make this project using only two different blocks, and this is the first of those two. 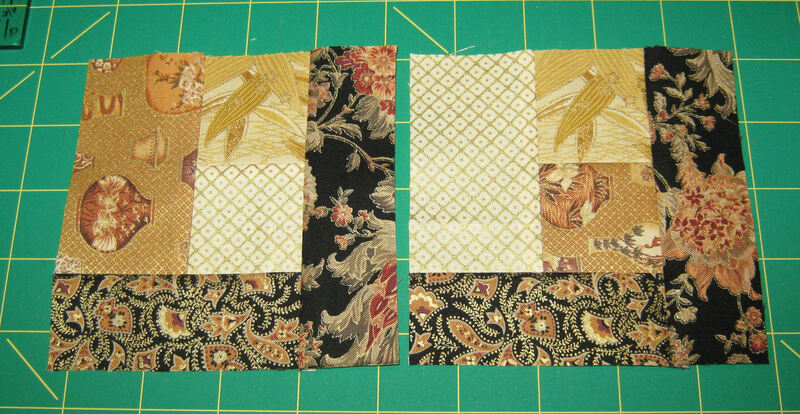 Because I’m super creative with names, we’re going to call it Block A and we’re going to make 4 copies of it*. 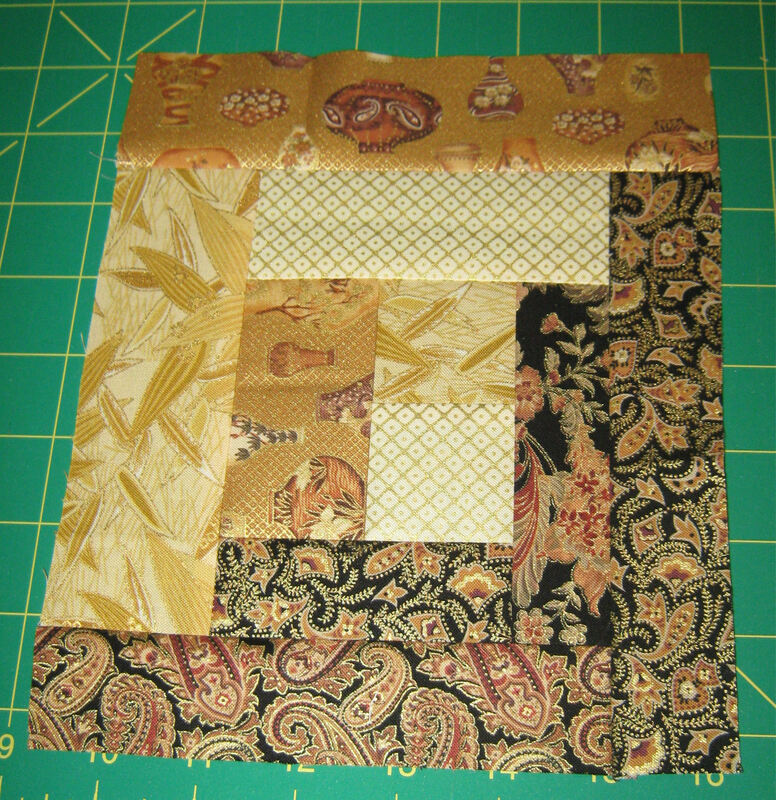 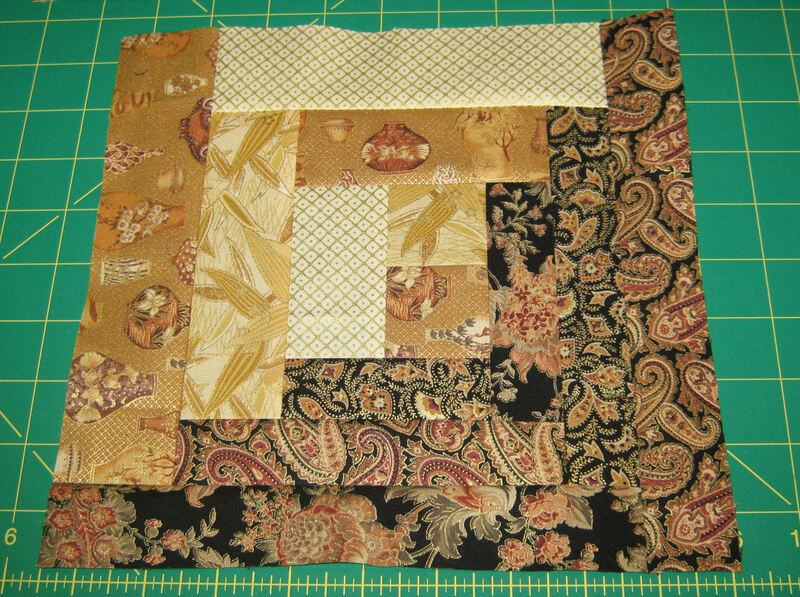 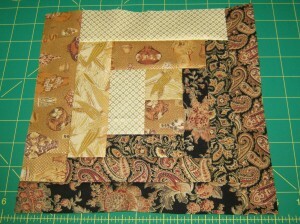 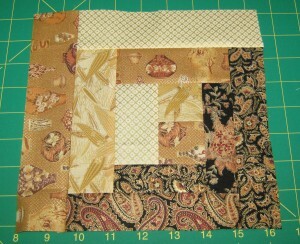 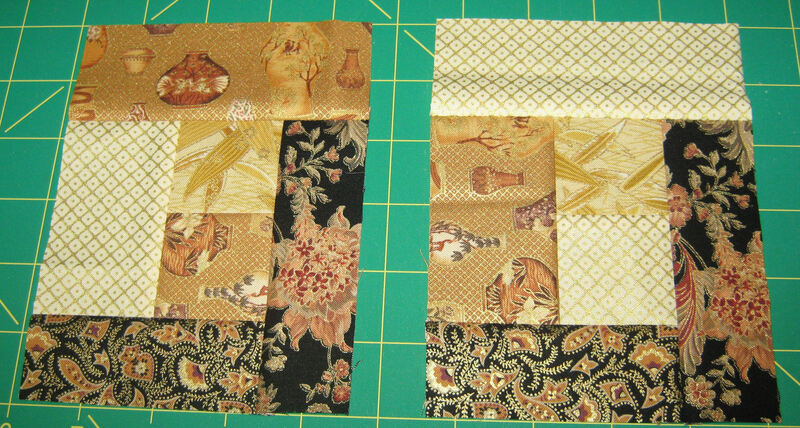 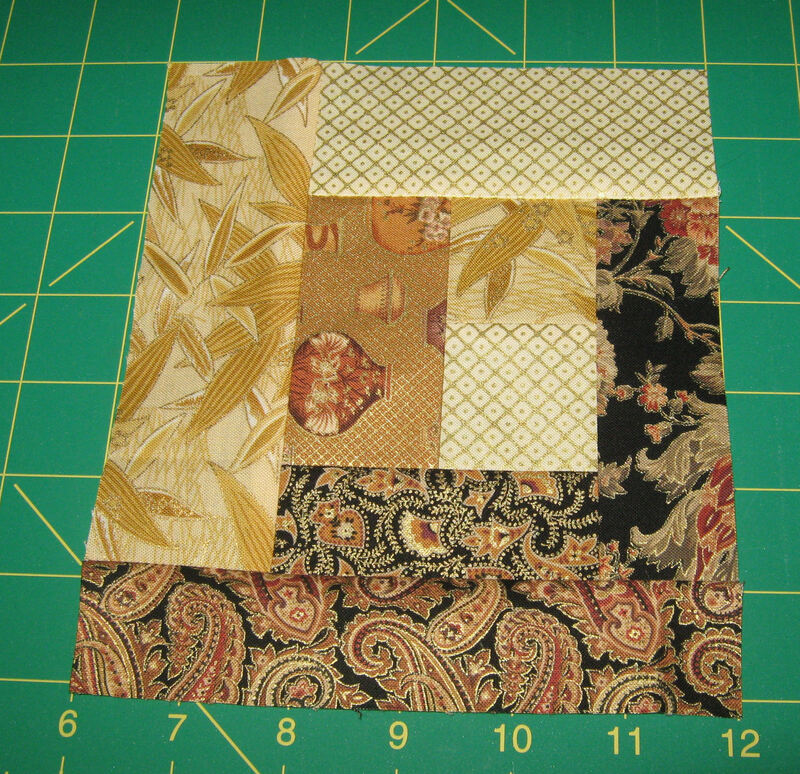 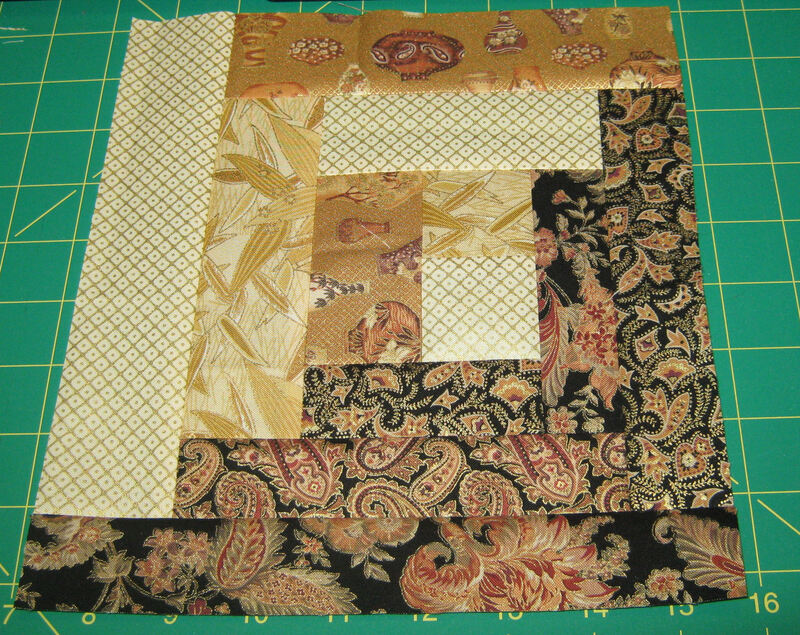 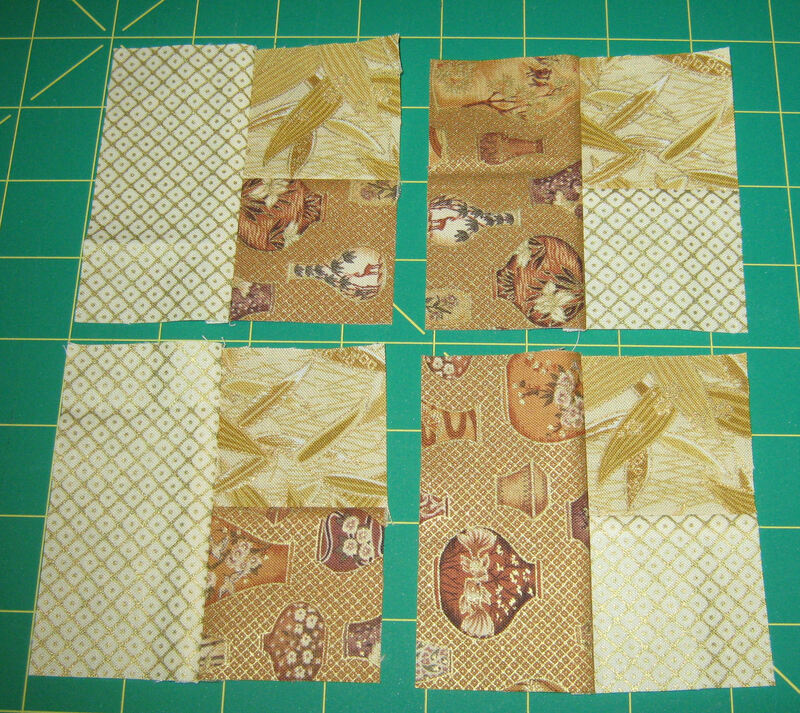 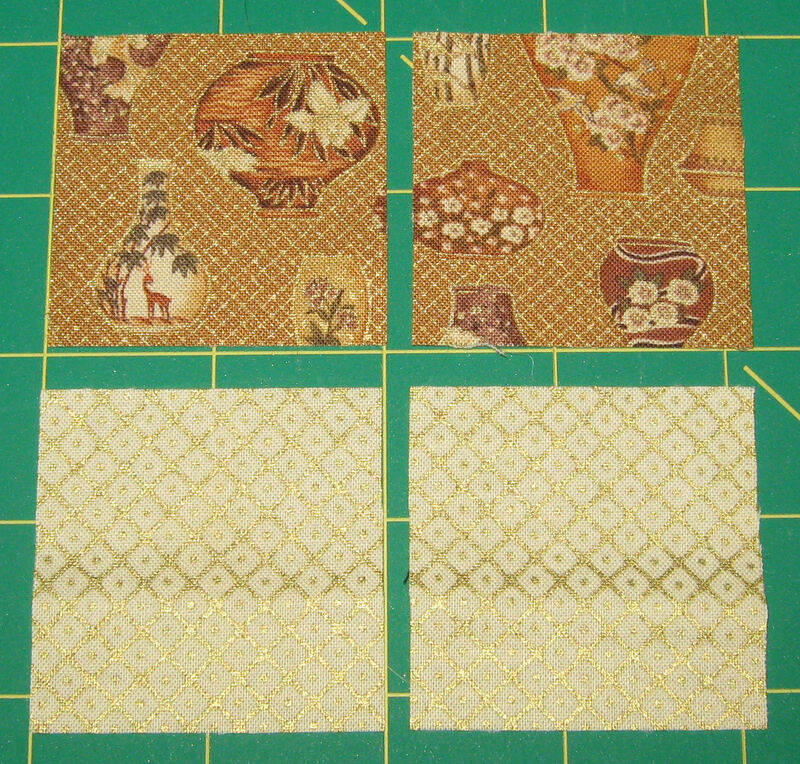 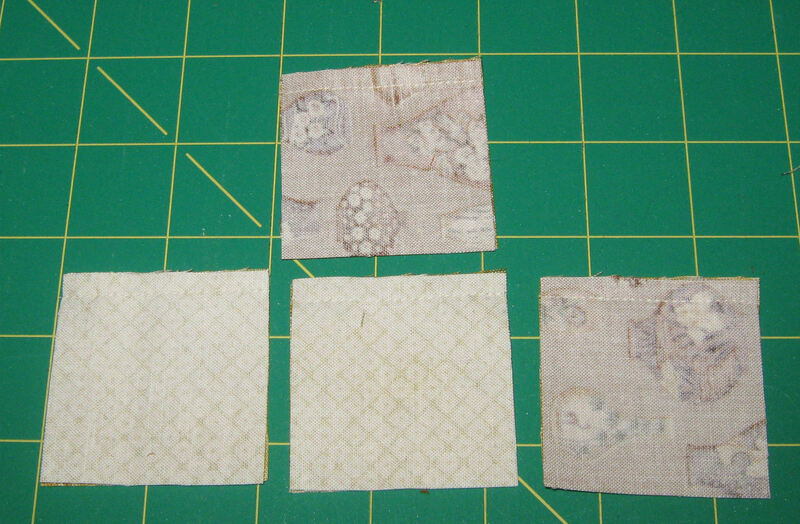 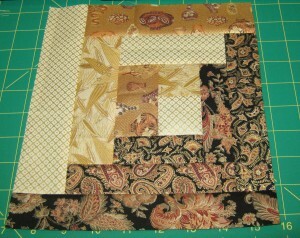 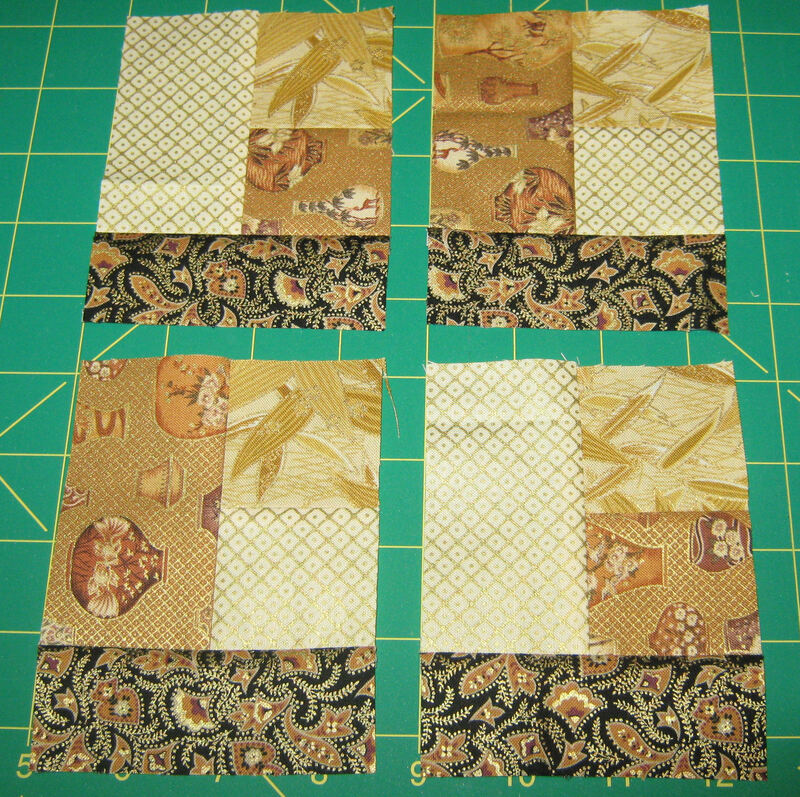 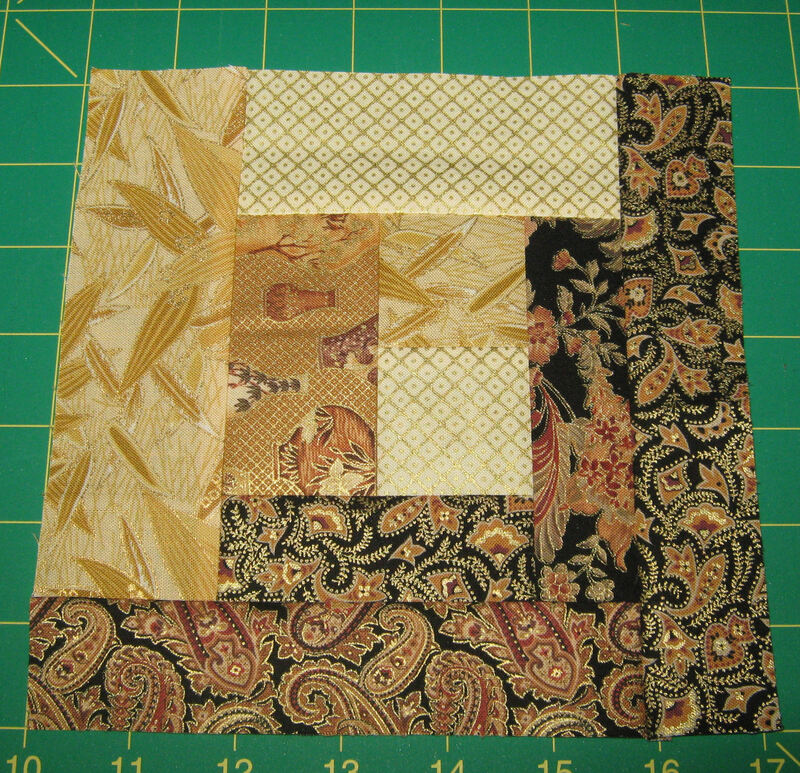 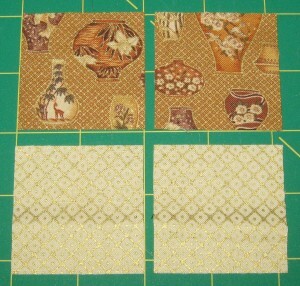 Start by cutting one of the strips of light fabric that was 2″ wide into X squares that each measure 2″ x 2″. 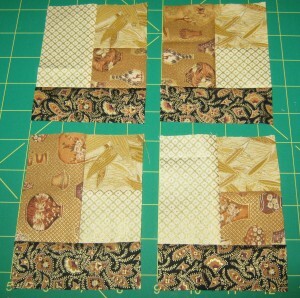 *You can certainly make more, just replace the number 4 with however many blocks you want to make. 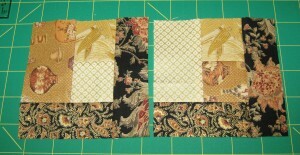 I’m only doing 4 because I’m improvising this project with fabric I have one hand.